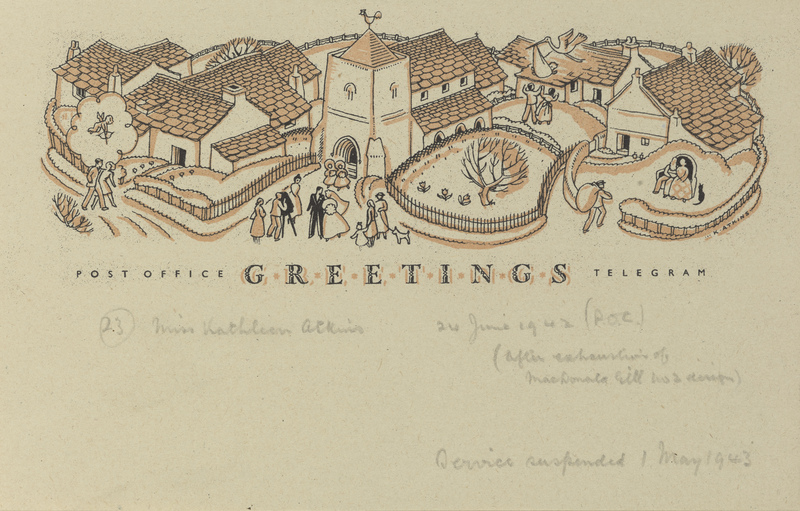 Archivist Helen explores the use of Greetings Telegrams and their intricate designs. 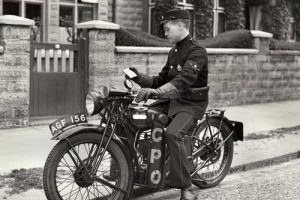 For many people in the early twentieth century receiving a telegram was something to be feared. 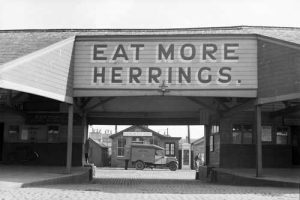 In the days before telephones were commonplace, telegrams offered a fast way of communicating urgent information. This meant that telegrams were often used to inform people of the death or serious illness of a loved one. 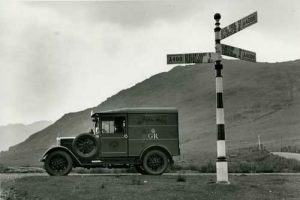 By the 1930s the Post Office was looking for ways to make the telegram service more attractive to the public. 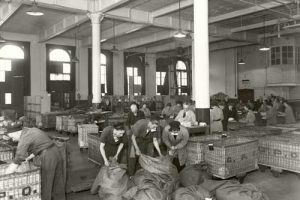 The spread of telephones and the efficiency of the postal service combined to result in a significant drop in the use of telegrams. 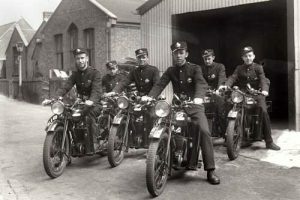 This lead to the introduction of the first greetings telegram on 24 July 1935. These telegrams were attractively designed and were delivered in bright gold envelopes bearing the words ‘Greetings Telegram’. At first, the Greetings telegrams were general in design with images which could be used for any occasion. 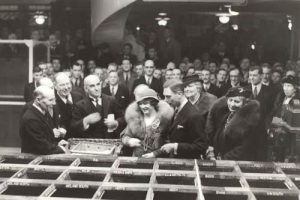 The first Greetings telegram for a special occasion was a Valentine’s telegram issued on 14 February 1936. 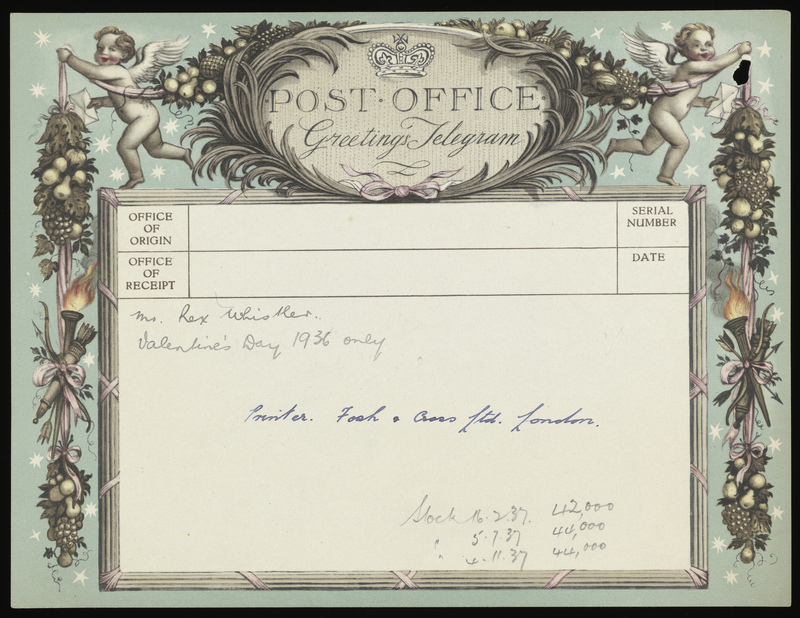 Valentine’s telegrams were then issued annually until 1939, and from 1951-1953. After 1953 Valentine’s telegrams continued to be issued on a less regular basis. 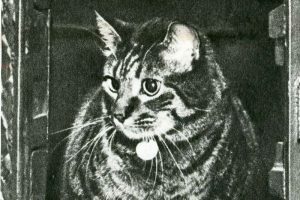 Except for Coronation telegrams (issued in 1937 and 1952) Valentine’s telegrams were the only special occasion telegrams issued until 1957. 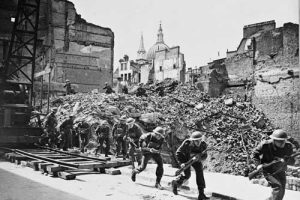 The Second World War disrupted the Greetings Telegram service. 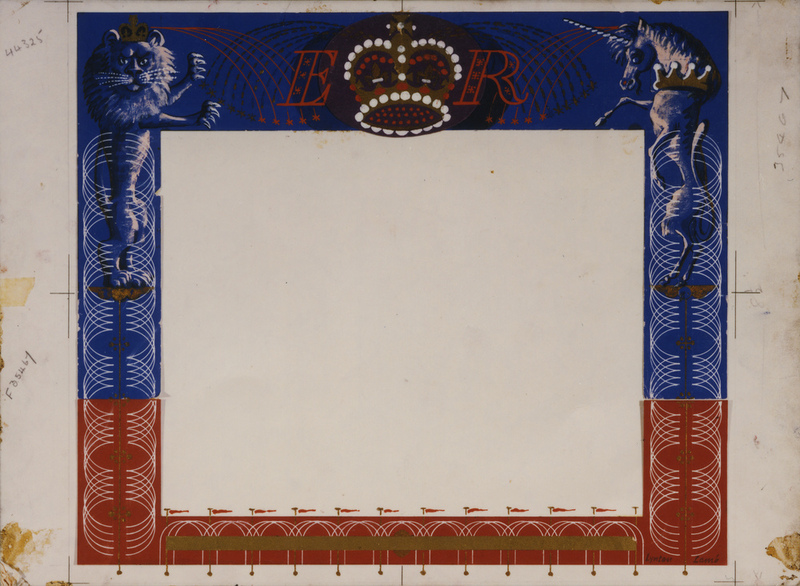 A smaller Economy telegram was issued in 1940, adapting the design of the 1937 Coronation form. This also had a smaller envelope. A second economy form was issued in 1942, this was printed in black and brown only, rather than the multicolour printing of earlier designs. 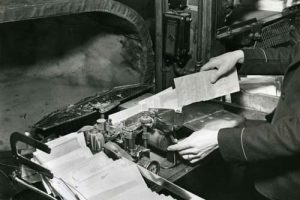 The Greetings Telegram service was suspended on 30 April 1943 and did not resume until 20 November 1950. In 1957 the first Luxury Greetings telegrams were issued. These were printed on card rather than paper. The first Luxury Greetings telegram was a Wedding Telegram issued on 1 March 1957. This was the start of an expansion in the range of special occasion Greetings telegrams on offer. 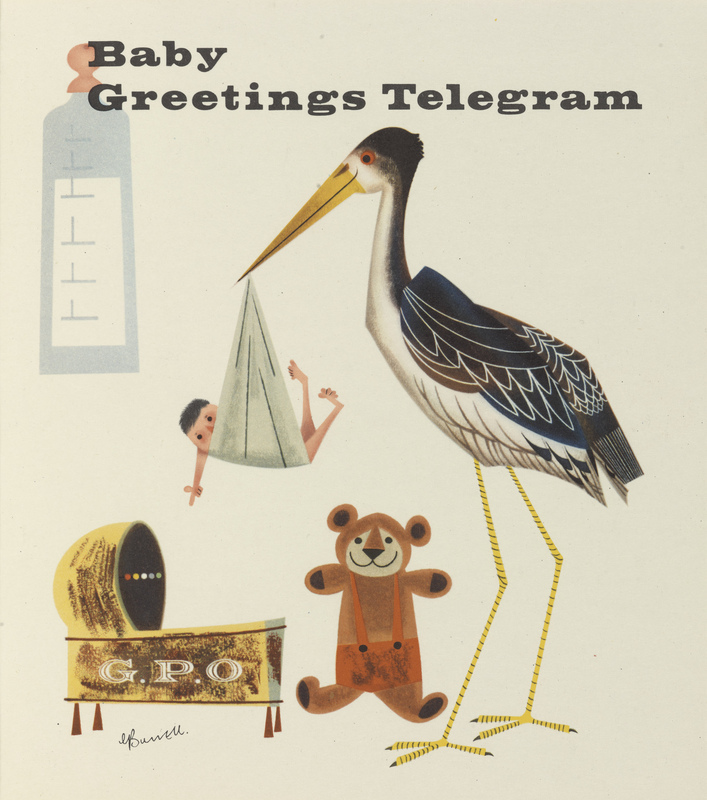 The first Birthday Greetings telegram was issued on 1 April 1957, followed by the first Baby congratulations on 26 Oct 1959. A 21st birthday telegram was issued on 2 Oct 1961, and the Anniversary telegram issued 15 Jan 1979 completed the range of telegrams available. 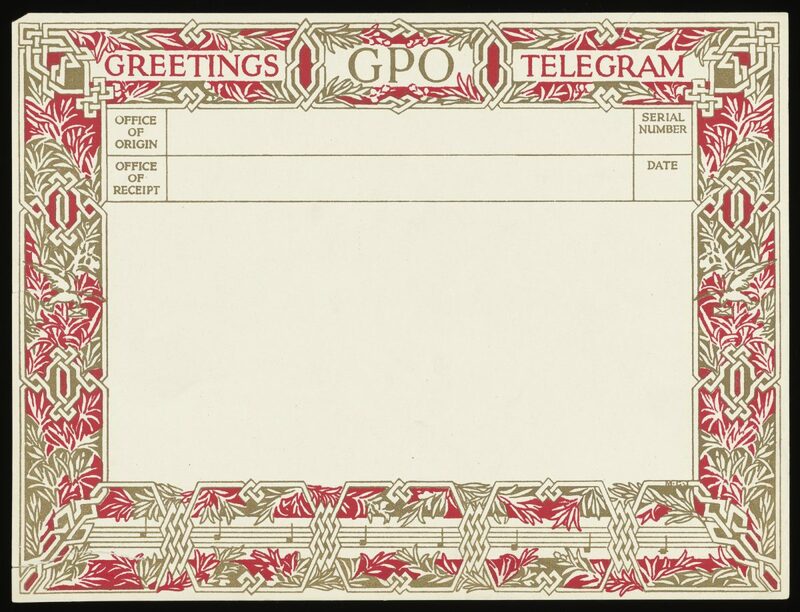 The final new design of a Greetings telegram was a Birthday telegram issued on 20 October 1979. 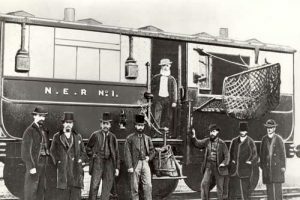 The British Inland telegram service ended 1 Oct 1982. 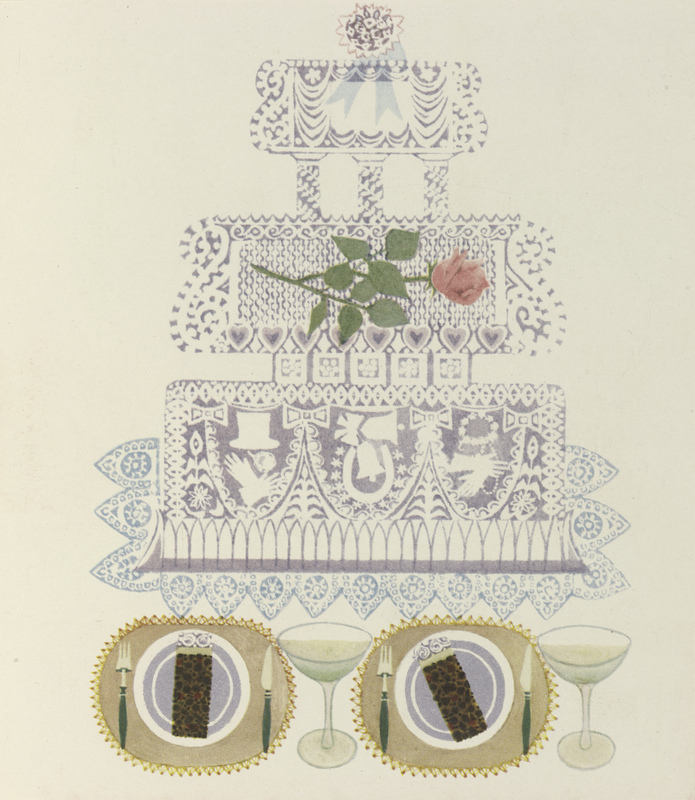 One of my favourite Greetings telegrams is this Wedding telegram from 1959 designed by Shirley Thompson. The intricate design resembles lace and seems particularly appropriate for a wedding. A selection of Valentine and Wedding Greetings Telegrams will be on display in the Discovery Room at The Postal Museum from 5 February to 2 March 2019. Or come and join me at my special talk on Greetings Telegrams on 11 February 2019.